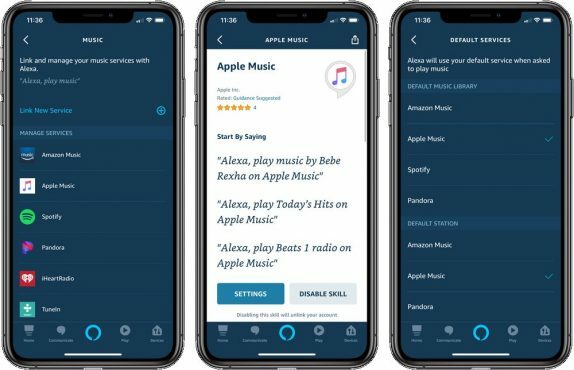 After announcing Apple Music support on Amazon Echo speakers, the update is now rolling out in the US through the Alexa app on iOS and Android a few days ahead of schedule. You can now connect your Apple Music account with Echo speakers through the Alexa app and use Apple’s music streaming service with Alexa voice control. Once you connect your Apple Music account to Alexa, you can set the music service as your default music library source and default music station source. Apple Music on Alexa will have access to your personal music library including playlists that you create or add to your library from Apple Music. Apple Music’s integration with Alexa is a neat new addition for Echo customers who subscribe to Apple Music.